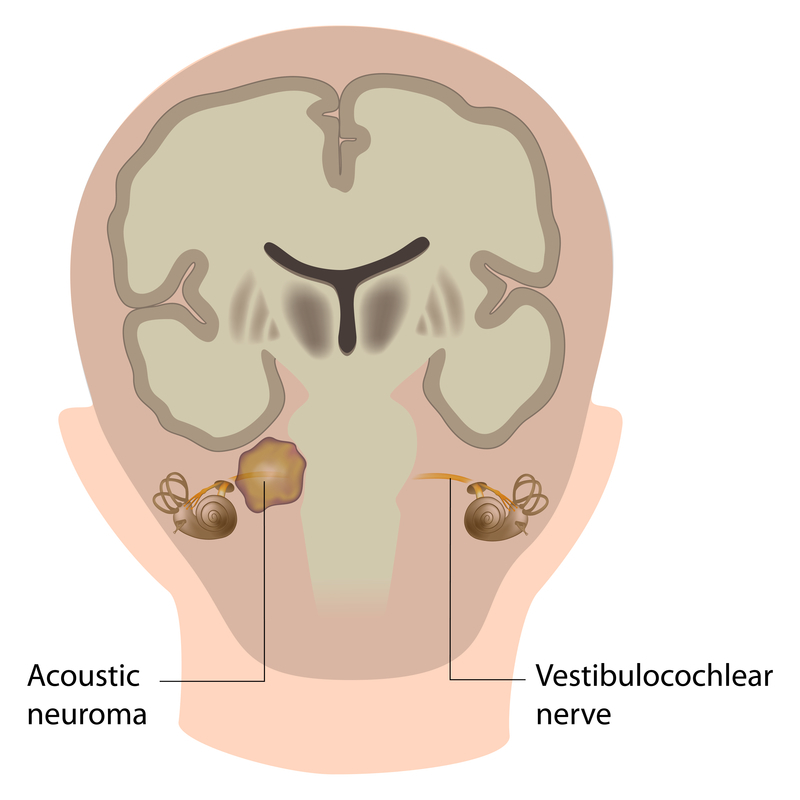 An acoustic neuroma is a type of benign (noncancerous) brain tumor that grows on the vestibular nerve as it travels from the inner ear to the brainstem. It is one of the most common types of benign brain tumors. The first sign of one is usually hearing loss. The cochleo-vestibular nerve (also called the eighth cranial nerve) is made up of three nerves that connect the inner ear to the brain. One branch — the cochlear nerve — carries hearing information. The other two branches — the inferior and superior vestibular nerves — carry balance information to the brain. The nerves are wrapped in a layer of specialized cells called Schwann cells. An acoustic neuroma — also called a vestibular schwannoma — is a tumor of those cells. If an acoustic neuroma is not diagnosed or treated it can grow large enough to press on important structures in the brainstem and cause major life threatening problems.